The City of Oak Ridge Community Development Department is continuing the Oak Ridge City Blueprint effort with a discussion focused on multiple subareas. An open house will be held from 5:30 p.m. to 7 p.m. on Thursday, April 26, at the Oak Ridge Civic Center. Families and local business representatives are invited to attend meetings and share ideas for possible neighborhood improvements. 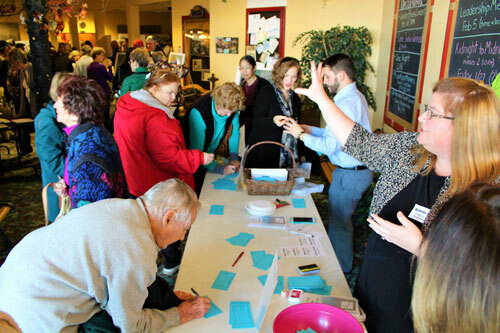 While the meeting that focuses on the subarea where residents live or work may have the most relevant information for them, every citizen is encouraged to engage in the Blueprint process at each meeting. Meeting dates, times and locations are posted online. Residents can view subarea plans, maps and comments using the City Blueprint online resource page. No formal presentation is planned for these events so attendees can come and go anytime during the open house. Citizens can also submit feedback via email. The blueprint is being coordinated by the Community Development Department, under the guidance of the Oak Ridge Municipal Planning Commission. The department recently finished a midpoint report on the Blueprint process, highlighting significant findings and outlining a plan for moving forward. The report is available online along with a public survey.